You may be handy with some electrical wiring work around the house, but handling the entire electrical wiring of your property in Normandy Park, WA is something else. You are not a professional electrician. Electrical wiring installation and repair is quite complex and is governed by several variables that are only understood by professional electrical contractors. 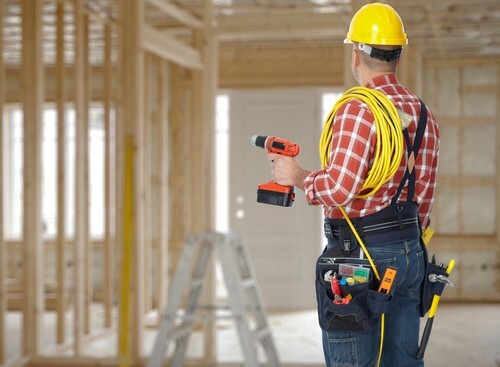 Economy Wiring is a company of licensed and bonded electrical contractors that Normandy Park residents can hire for electrical wiring installation, repair and upgrading. Our family-owned and managed business has been the ‘go to’ electrician for home and business owners in the community since 1953. You trust your electrical contractors with the present and future safety of your family, employees, customers and Normandy Park property. Choosing us as your electrician should put your mind at ease. Every electrician working with us is highly trained to deliver precise and lasting electrical wiring services. Coupled with our technical excellence, our courteous customer service ensures a stress-free experience for every Normandy Park customer. The ideal mix of professionalism and friendliness of each electrician has made us one of the region’s most favored electrical contractors. For aesthetics and safety, electrical wiring in Normandy Park buildings is hidden within the walls. The invisible electrical wiring is often forgotten and taken for granted. As experienced electrical contractors, we advise Normandy Park residents to get periodic servicing of their electrical wiring to ensure it is working properly. We will send you a trained electrician for this work. 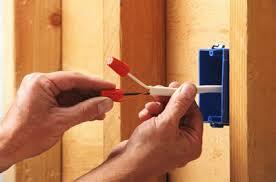 Our electrician can handle electrical wiring installation, maintenance, repair and upgrades. Entrust your electrical wiring project to Economy Wiring, one of the most dependable electrical contractors serving Normandy Park. Call our electrician at (206) 244-7542.